Over the last decade or so, media outlets around the World have begun ranking Albania as a top tourist destination. Albania’s rich archaeology is just one of the reasons why this Balkans country is well worth exploring by anyone with an interest in Europe’s past. 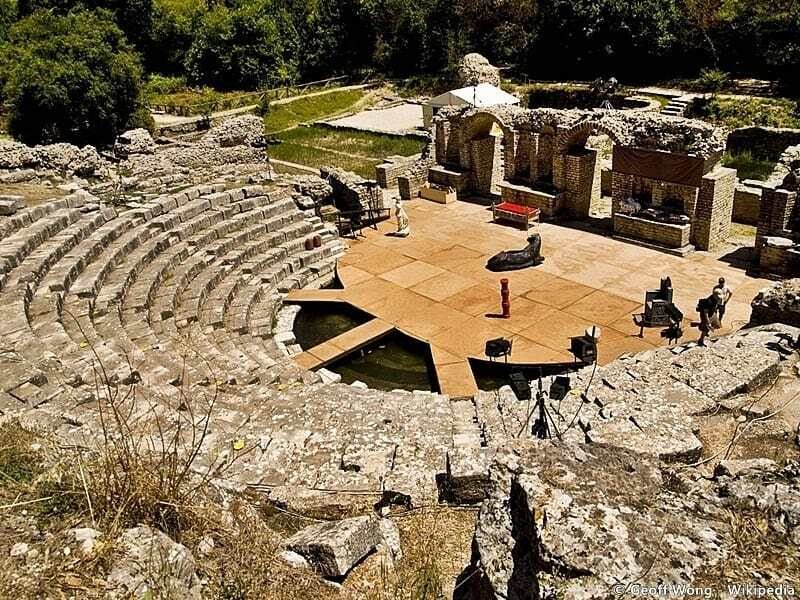 The country has a rich heritage of sites dating to Illyrian, Greek, Roman and Ottoman periods – some of which are on the UNESCO list of World Heritage Sites. Officially known of as the Monastery of the Nativity of the Theotokos in Ardenica, the monastery is not set up for visitors. For a donation, however, there is usually a custodian present who will show you around. Thought to have been built in 1282 by the Byzantine Emperor, Andronikos II Palaiologos, following his victory at the Siege of Berat. The monastery has some well preserved frescoes and gold and polychrome icons made during the 18th century. 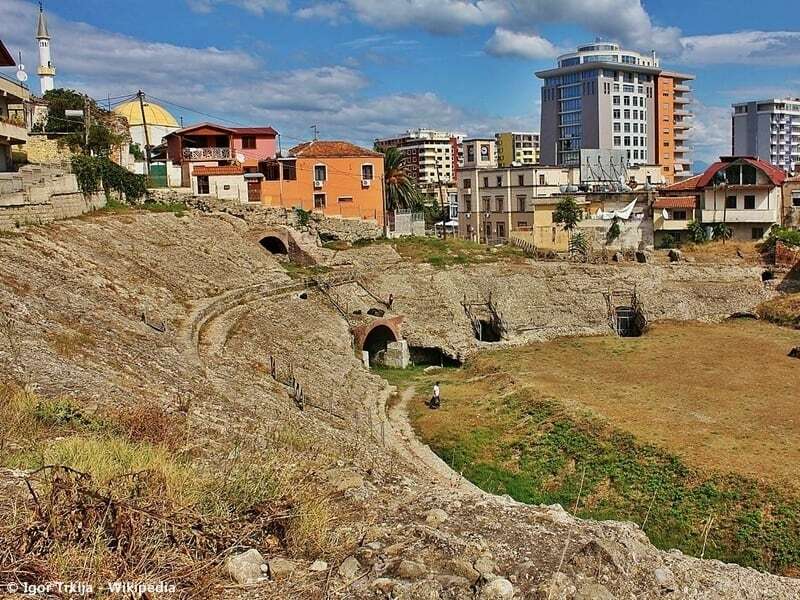 The Roman amphitheatre in the city of Durrës is said to be the largest such structure on the Balkans peninsular – seating an estimated 20,000 people. 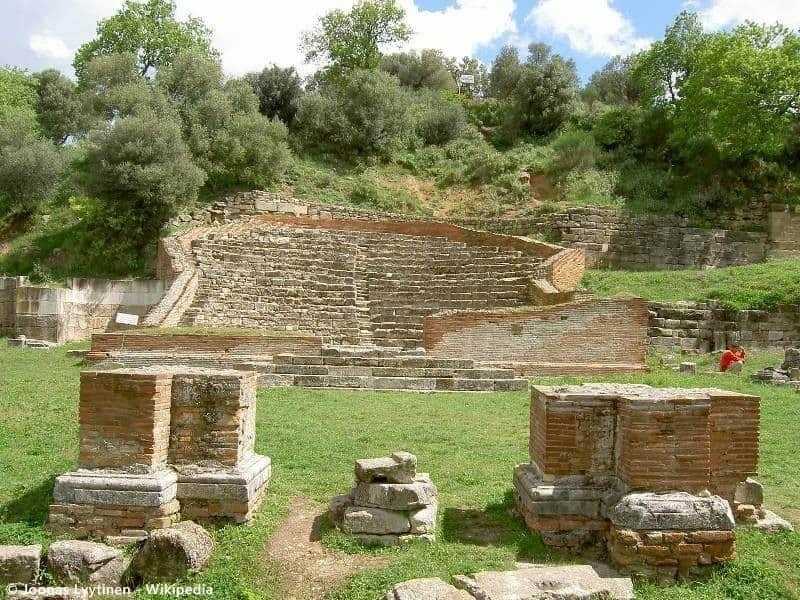 The amphitheatre was built in the second century BC, and was still in use up until the 5th century AD. Preserved inside the ruins of the amphitheatre is a 6th century chapel that is dedicated to the first bishop of Durrës Saint Astius. As very little conservation work was carried out until 2004, the popular tourist attraction is currently on a list of endangered heritage sites of Europe. 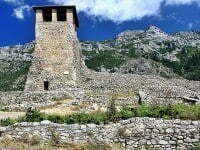 The castle on the citadel overlooking the town of Krujë is today a source of great national pride for Albanians. So much so that it appears on one of the country’s banknotes. 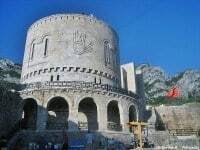 It was here that George Kastrioti Skanderbeg defended Albania from three massive attacks by the Ottomans during two decades: 1450, 1466 and 1467. The town eventually fell after the fourth attack, in 1478. The castle’s small defences held a garrison of between 2,000 and 3,000 men and is now home to an impressive national ethnographic museum. 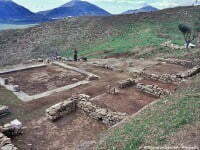 The archaeological site of Phoenice is on a hill overlooking the southern Albanian town of Finiq. 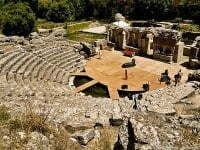 Phoenice was one of the wealthiest ancient Greek cities in the historic region of Epirus. The importance of the city continued into the Byzantine period when t became the site of a Bishopric, but was abandoned by the 6th century. There have been many excavations at the site over the last hundred or so years, beginning with Italians in the 1924. Today the site is at the centre of an archaeological park. 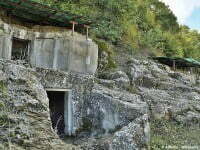 High on a mountain besides the Shkumbin River are the remains of an ancient Iron Age Illyrian settlement. 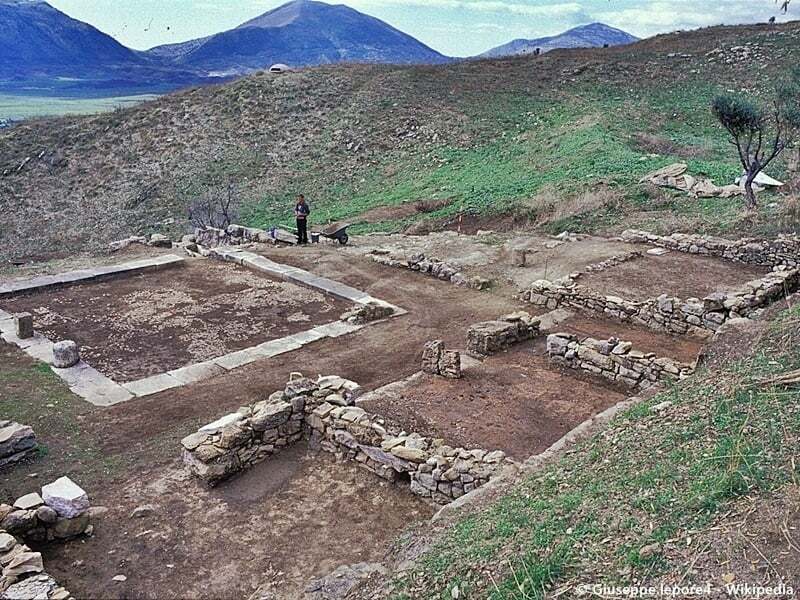 The town was all but destroyed in antiquity, however the site is now better known for the associated necropolis. A series of rock cut tombs were carved out of the mountainside bedrock during the 4th and 3rd centuries BC and used by the Illyrian kings. Some of the tombs were reused by the Romans during the 2nd Century. The Royal tombs of Selca e Poshtme have been placed on the tentative list of UNESCO World Heritage sites. The generic term castles is used to describe a range of fortifications and fortresses. Some of these date back to the Iron Age, but many more are much more recent in age. 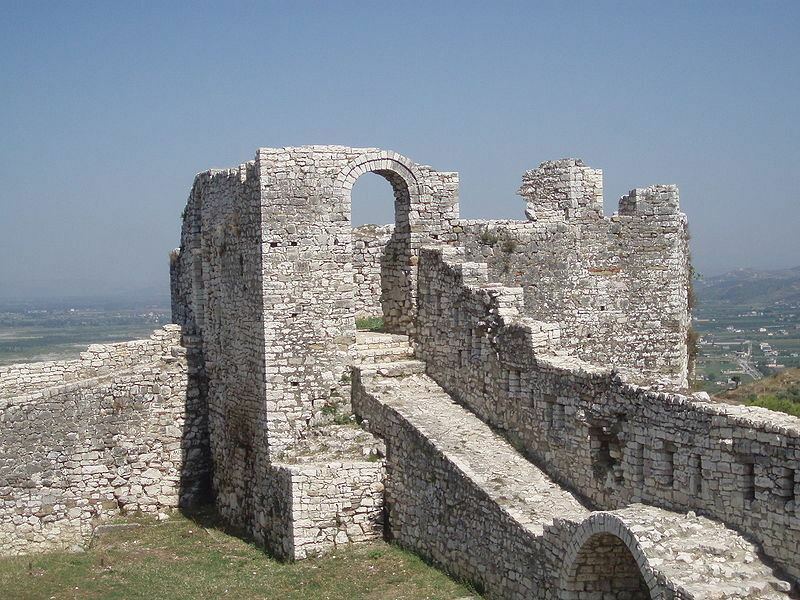 Fortresses were built by the Romans, by the Albanians to defend the country against the Ottomans, and by the Ottomans once they had conquered parts Albania. As a group, these buildings tell the story of Albania’s past. Berat Castle, Skrapar Castle (Berat County); Durrës Castle, Ishëm Castle, Krujë Castle, Rodoni Castle (Durrës County); Gjirokastër Fortress, Libohovë Castle, Kardhiq Castle (Gjirokastër County); Pogradec Castle (Korçë County); Lezhë Castle (Lezhë County); Rozafa Castle (Shkodër County); Fortress of Bashtovë, Petrelë Castle, Prezë Castle (Tirana County); Ali Pasha Castle, Borsh Castle, Kaninë Castle, Lëkurësi Castle, Porto Palermo Castle (Vlorë County). George Kastrioti Skanderbeg was an Albanian national hero who successfully defended the first Albanian state against the Ottomans. 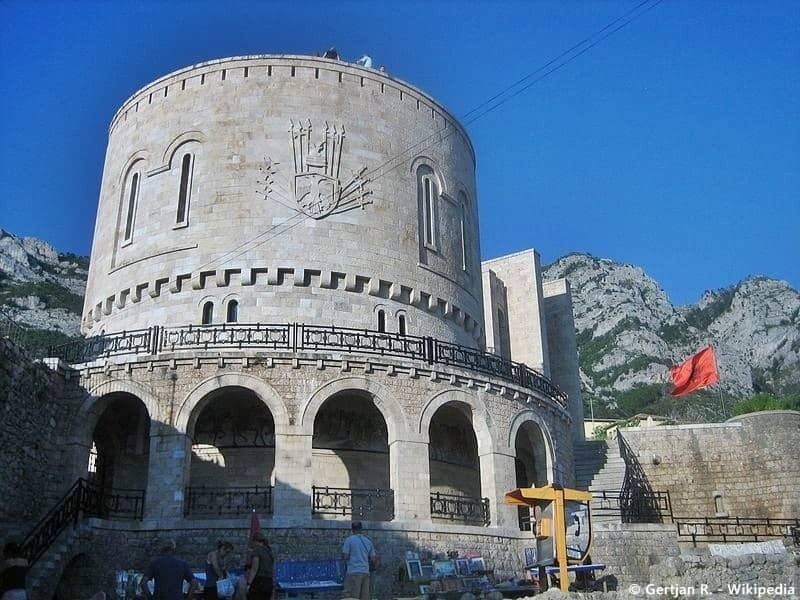 The ethnographic museum in the grounds of Krujë Castle, the site of the successful defence, commemorates Skanderbeg and his military achievements in Krujë. Exhibits include paintings, armour and other original military artefacts. Although there is a replica of the hero’s goat head-topped helmet – the original can be seen on display in the Museum of Fine Arts in Vienna, Austria. 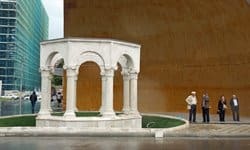 For those staying in the capital city Tirana, it is possible to choose from a range of small group and private tours and day-trips. 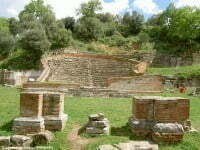 For example, a number of guides offer full-day tours that start in historic Tirana and have the archaeological sites of Apollonia or Durrës as add-ons. 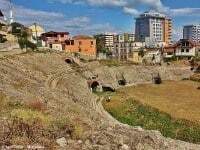 Also available is a more specialist day trip to Durrës from Tirana; that includes the Roman amphitheatre, the 2nd century Roman bath-house, the Byzantine Forum that dates to between the 5th and 6th centuries, as well as the Archaeological Museum. 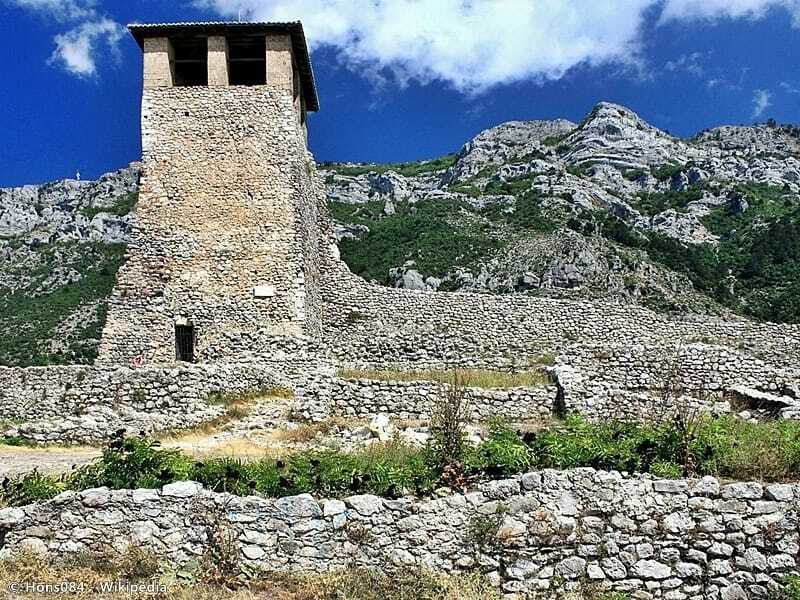 And of course, there are a variety of day-trips to some of the more important castles, such as Krujë or the 5th century Petrelë Castle; see this list of tours and activities in Albania.